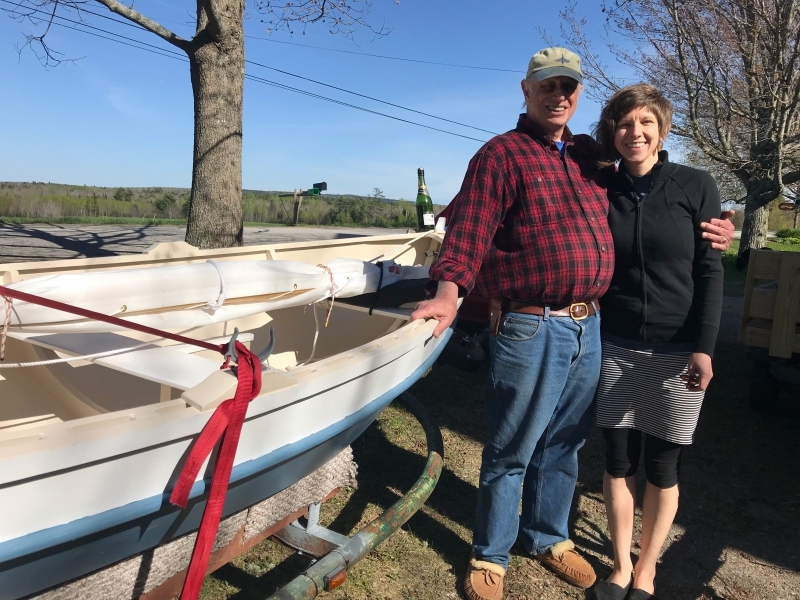 Over the 2017-18 winter wooden boat enthusiast and craftsman Fred Kircheis worked with his niece, Tyler Kidder, to build her a Shellback dinghy with sailing rig in his home woodworking shop in central Maine. 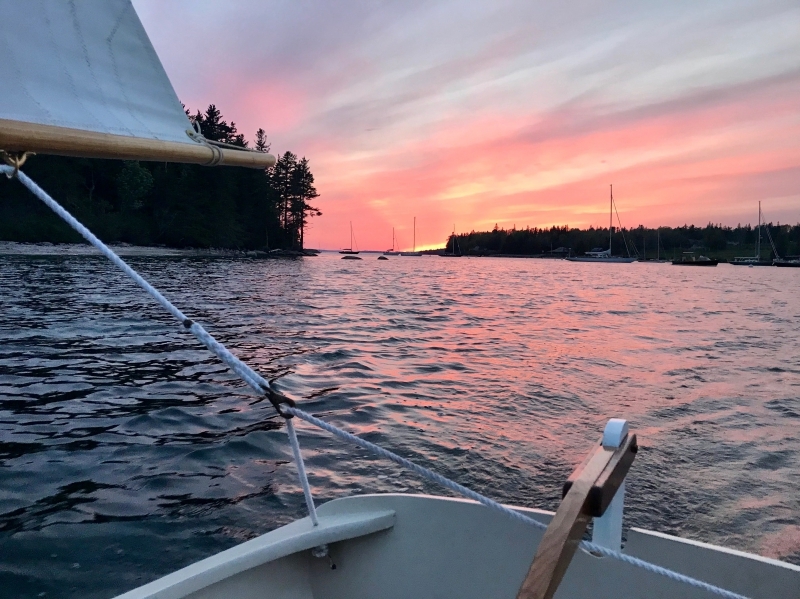 Tyler longed for a small boat of her own, mainly to be able to row on Maine’s lakes and ponds but also to be able to explore, by sail, Maine’s miles of protected coastline after a childhood of sailing in Eggemoggin Reach. 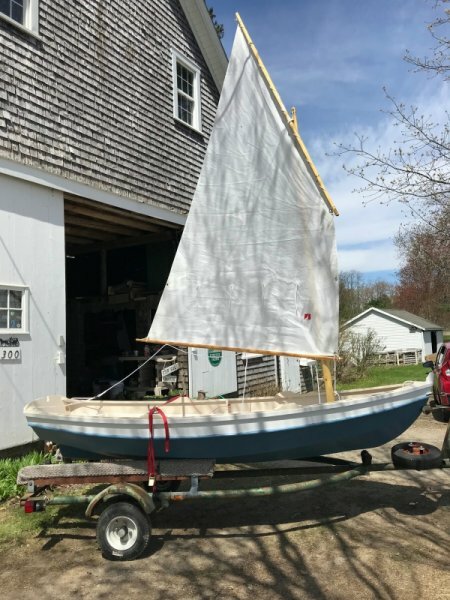 They settled on a Shellback design as the best fit since Fred had built a few before and the boats are known to be a pleasure to row and simple to rig and sail. 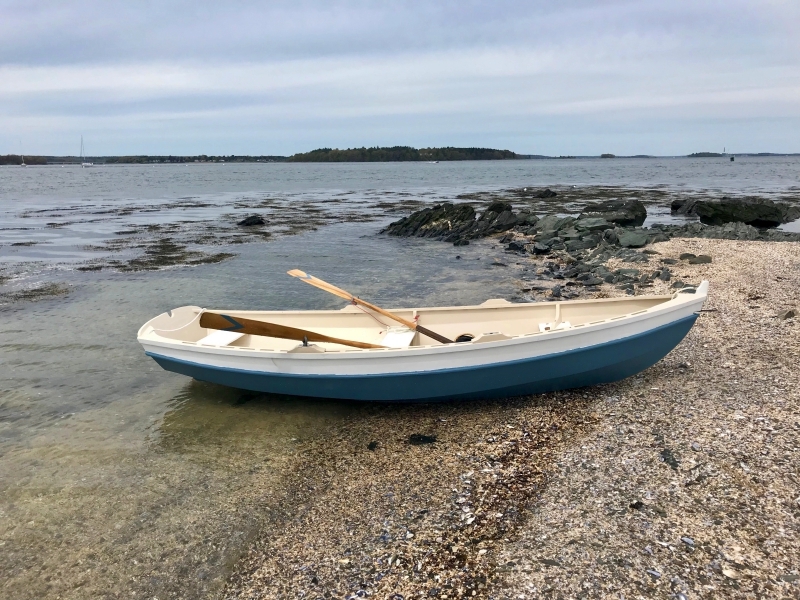 Using new and found materials, and with help from family and friends, Limpet was born from scratch in true Mainer style. 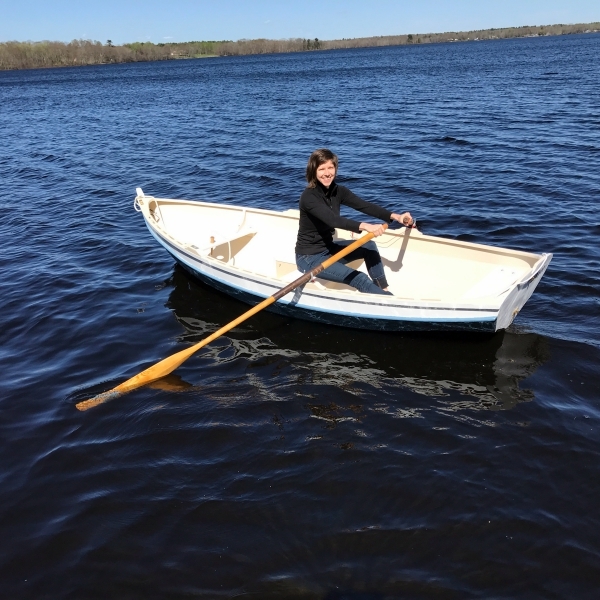 Since the first launch in May 2018, Limpet has dipped her plywood planks in Hermon Pond, Damariscotta Lake and Wilson Pond in addition to multiple ocean pleasure cruises in Portland Harbor and Brooklin's Center Harbor. Limpet resides on a trailer with Tyler at her home in Falmouth and lives for the sunny summer days on the water.